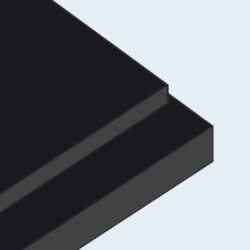 Crescent’s notFOAM offers an environmentally-friendly mounting and backing board solution for all types of framing applications. 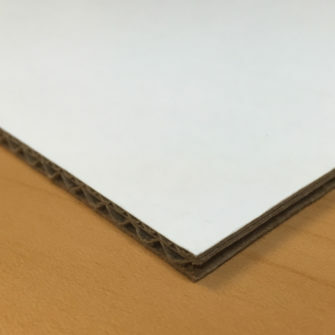 These boards are white buffered, with an acid-free surface and natural kraft corrugation and backing. Each board is core comprised of E and B corrugated to reduce visibility of flute lines and provide better smoothness and rigidity during mounting. notFOAM can be recycled and reused instead of filling dumpsters and paying large dumping fees. Trees for paper used to make notFOAM are farmed cyclically as a crop while pulp fiber used to make notFOAM breaks down naturally and easily. Foam, however, will last for centuries if not properly disposed of. Paper mills can efficiently use recycled material like notFOAM without a lot of treatment or energy-intensive processes. They simply add water, blend, and make more paper from it. Plastic foam is expensive, energy-intensive, inefficient to re-use and cannot be re-made into new foam due to the breakdown of carbon chains.